Shane and I went out last night one more time before I haul the boat. We hadn't heard anything, so we just started at 80 feet and headed west. The boat was having some battery and electrical issues from the start and it wasn't too long before all the electronics and helm controls/panel were out. Because of this and the nav lights not turning on, we only fished from 4:30 to 6:30. We ended up with one 6 lb King on a full core and magnum white/pink mirage-like pro king spoon. It was probably around 100 FOW, but without any instruments its a bit of a guess. 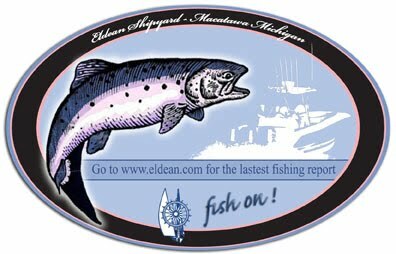 I did hear that the fishing was really good in shallow and near the Saugatuck pier heads.